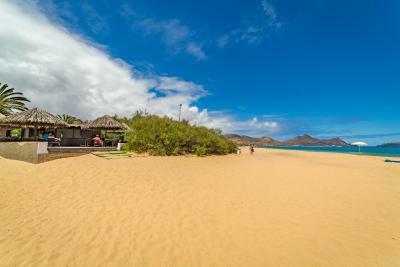 Lock in a great price for Hotel Porto Santo & Spa – rated 8.2 by recent guests! 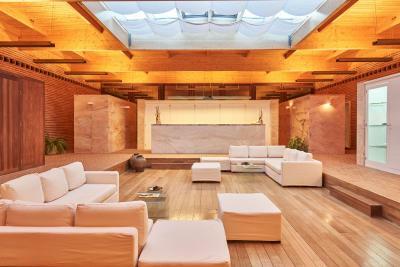 Fantastic location, near the beach. Close to the city center. 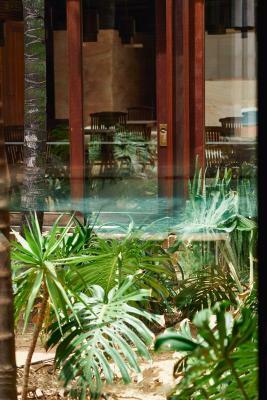 I liked the location, good excess to beach and staff at bars and restaurants were very friendly. 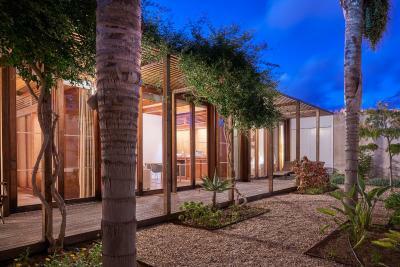 Very peaceful and quite, next to the beach. Walking distance to the centre Vila baleria. Good restaurants nearby. A best place for romantic weekend, Restaurant is good is well steak was delicious. 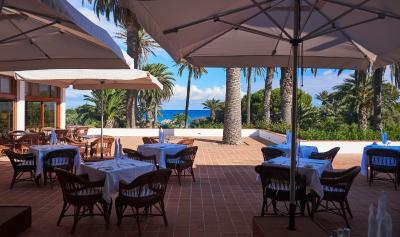 Lovely 1960's hotel with large, nicely furnished public rooms and open lawns down to the 9km beach. 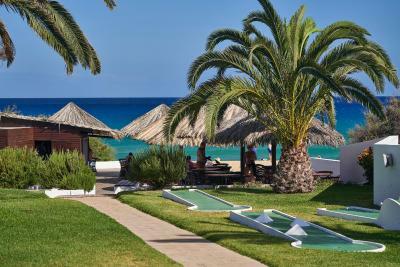 Great beach bar serving light meals, decent sized outside pool, top-notch spa with treatment rooms and heated pool. 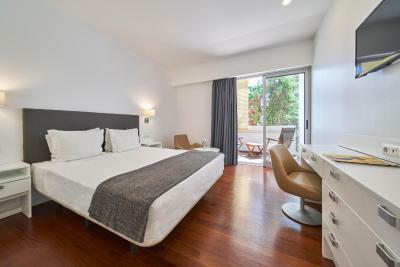 There are a few very fine two-bedroomed villas incorporated within the spa complex which looked worth a try next time we visit. Excellent, polite, helpful staff - it is not possible to overrate the importance of good staff as they make or break a stay. The food is not brilliant but perfectly acceptable. We loved our stay here and will definitely return. Lovely position by the beach. Very clean and comfortable. Brilliant breakfasts. Excellent staff....friendly and efficient. Super swimming pool. Superb hotel! 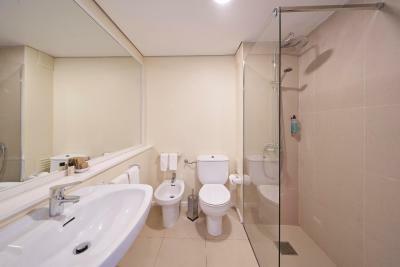 Spotlessly clean, friendly helpful staff, excellent location! Peaceful with beautiful gardens full of birds. Very good breakfast & beach bar. Didn't want to leave & would definitely return in the future! Was the best part of our holiday to Madeira! 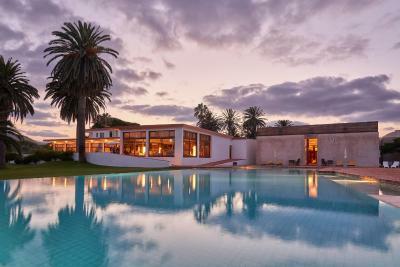 Hotel Porto Santo & Spa This rating is a reflection of how the property compares to the industry standard when it comes to price, facilities and services available. It's based on a self-evaluation by the property. Use this rating to help choose your stay! 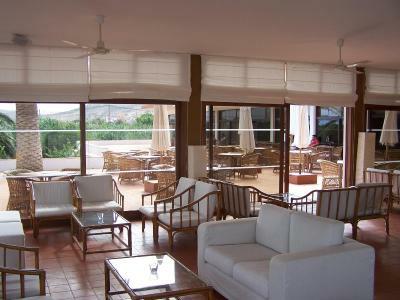 One of our top picks in Porto Santo.Located in Porto Santo, this hotel is on a sandy beach. 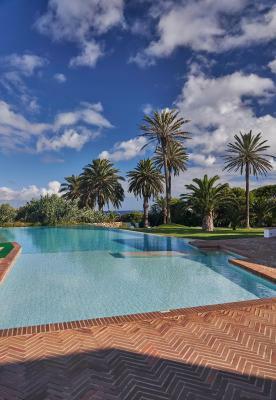 It has an infinity edge pool with views of the Atlantic Ocean, and offers air-conditioned accommodations. 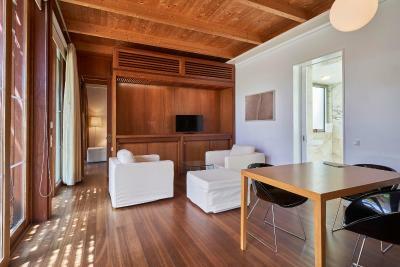 Rooms and villas at the Hotel Porto Santo & Spa come equipped with a cable TV. 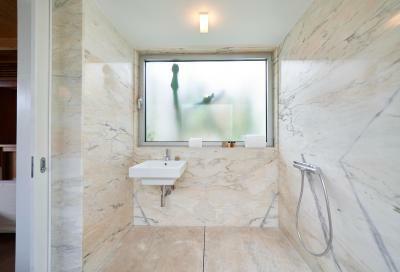 Some rooms feature a private garden or a balcony with panoramic views. 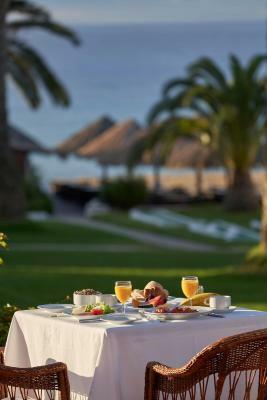 In the morning Hotel Porto Santo & Spa serves a buffet breakfast. 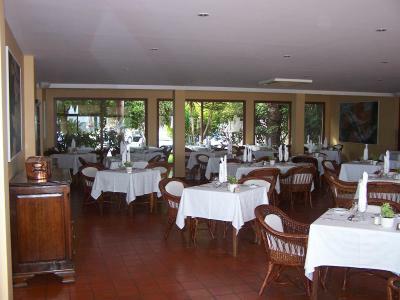 The hotel has a restaurant that offers traditional Portuguese dishes. 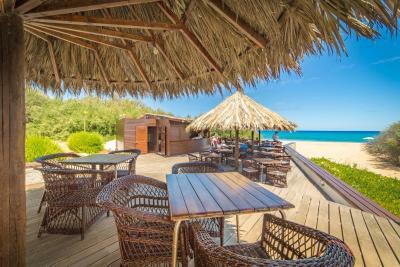 There is also a beach bar that serves refreshing beverages. 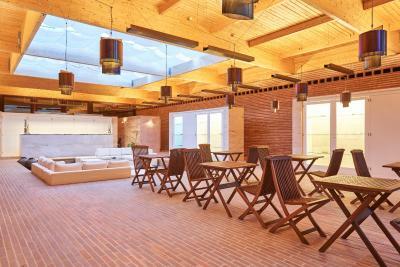 Guests can play mini golf and table tennis on site. 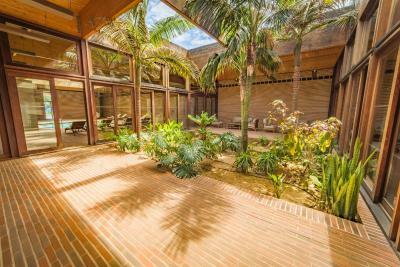 Nearby leisure activities include canoeing, hiking, and windsurfing. 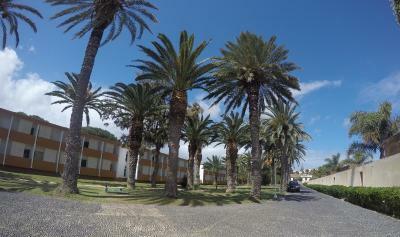 The Hotel Porto Santo & Spa is located less than 1.9 mi from Porto Santo Airport. 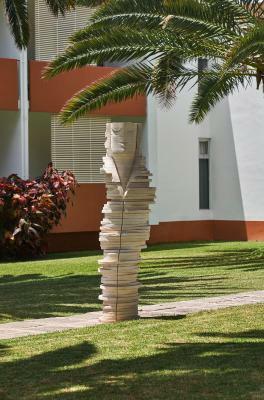 The hotel offers 24-hour front desk service and free public parking is possible on site. 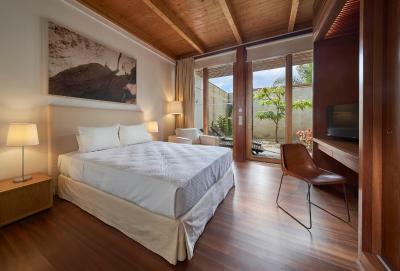 When would you like to stay at Hotel Porto Santo & Spa? Please note that safes are available for an extra fee. 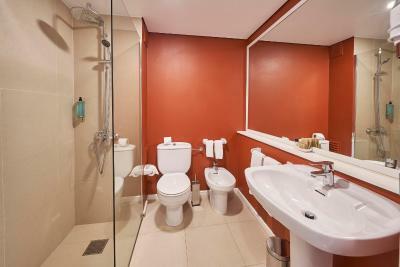 This spacious suite has 2 bathrooms and a private garden. Please note that safety deposit boxes are available for an extra fee. 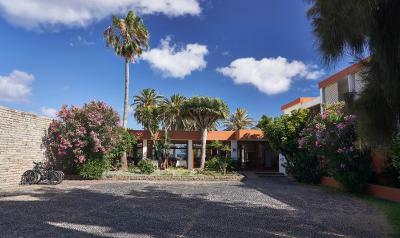 This spacious villa has 2 bedrooms, 3 bathrooms and a private garden. Safety deposit boxes are also available. 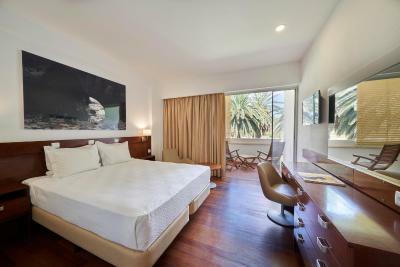 This twin/double room has a balcony, satellite TV and garden view. 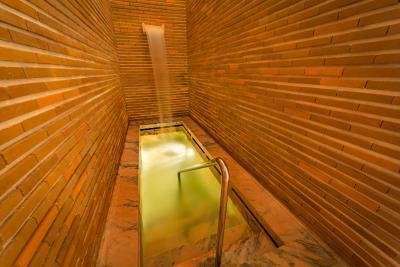 House Rules Hotel Porto Santo & Spa takes special requests – add in the next step! 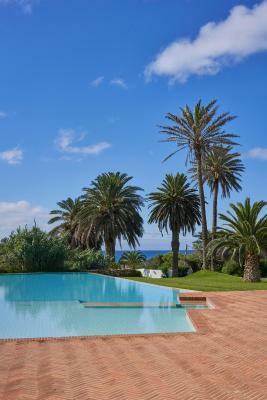 Hotel Porto Santo &amp; Spa accepts these cards and reserves the right to temporarily hold an amount prior to arrival. 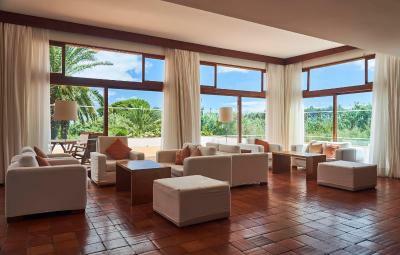 Hotel Porto Santo & Spa accepts these cards and reserves the right to temporarily hold an amount prior to arrival. Guests requiring a printed invoice should give their details when booking. Please note that half board rate does not include drinks. Food was a little disappointing, we chose to eat at other venues. 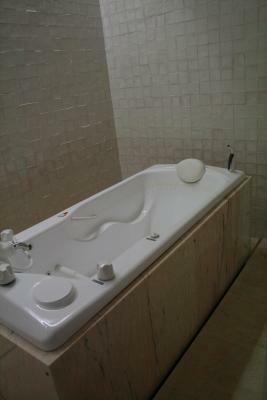 The big problem with the hotel is the bedrooms in the main hotel which are dated, noisey and on the small side. We moved three times on arrival and thanks to the exceptionally nice receptionist found ourselves in a small suite overlooking the ocean. It was a bit dated but it was quiet, sunny and well worth the extra charge. 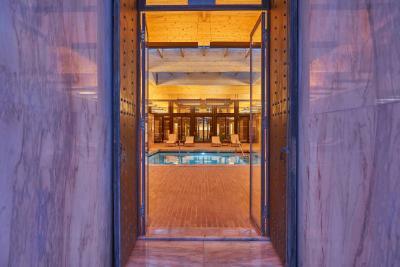 That it was winter season and not allowed to use indoor pool unless we paid to use the spa. Only a handfull of guests very quiet so could have let us use the indoor pool outdoor pool freezing!! Restaurant food in the evening was a bit dated and dull. No vegan or vegetarian options on menu....but the service was splendid. Nice staff and peaceful location. There were many ants in the hotel, in the bedroom, bathroom and even in the breakfast hall. I didn’t have the time not to like anything because I only stayed the night and that is that. I only went for a day so I didn’t stay long. The breakfast was great and great dineing roo I stayed with my fiancé and her parents in one of the villas and I would recommend to tag there because it was very private. Found cockroaches and other bugs in the room. Breakfast was the same every day and only way to get an espresso was by paying. Matter fact, pretty much everything came with added cost. 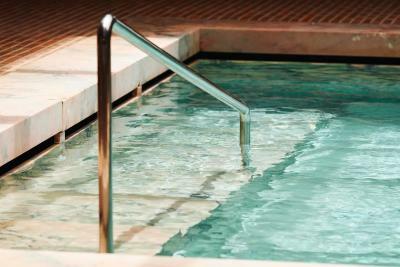 16€ was the price to use inside swimming pool for a hour, because it belongs to the SPA. Location was near to perfect. 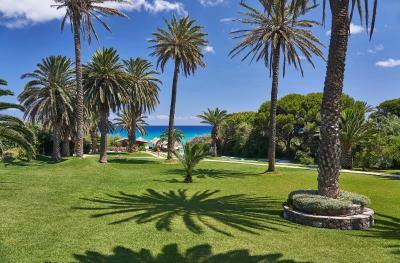 Right on the beach and 15 min by feet to center of the village.